If you want to get fit, put down the bottle. Alcohol has a number of negative health consequences when consumed after a visit to the gym. 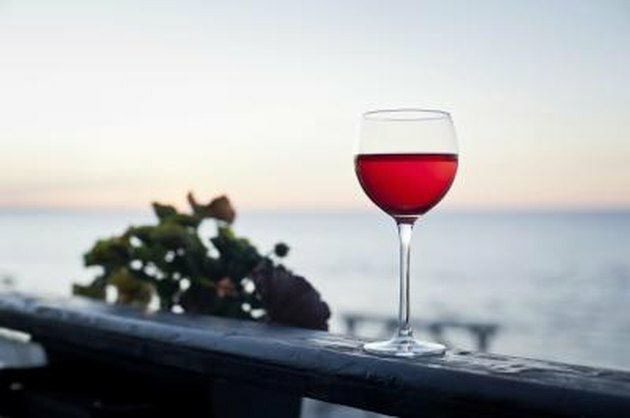 You should plan your drinking during days when you are off from working out, especially if you are going to consume more than one drink for women or two drinks for men, the level that the Centers for Disease Control and Prevention says you can ingest daily without negative health consequences. Alcohol dehydrates the body by causing you to sweat and urinate more as your system tries to eliminate the toxin. Working out also causes dehydration. If you’re already dehydrated and you start drinking, you are exacerbating the problem. Expect symptoms like dry mouth, headache and even dizziness in more serious cases. The more dehydrated you get, the worse your hangover will be. After you work out, your muscles need time to repair themselves and grow. Alcohol disrupts this process, meaning if you want to get ripped, you probably should pass on the post-workout gin and tonics. The body uses human growth hormone during the muscle-repair process. The consumption of alcohol reduces the secretion of HGH, eliminating the gains that you made while pumping iron at the gym. Since your muscles aren’t able to properly repair themselves due to the effects of alcohol, you will experience more soreness for a longer time if you drink after your workout. The soreness you experience after working out is from microscopic muscle tears or built-up lactic acid, both of which take longer to resolve if booze is in your body. If you’ve had a strenuous workout, your body will feel fatigued. Knocking back a few post-gym will only make this worse. Alcohol disrupts the body’s metabolism, leaving you with less energy to burn. Also, alcohol can disrupt the sleep schedule – leaving you sore and tired the next day since your body didn’t have the proper amount of time to recover. Does Alcohol Affect Weight Training?